In late November 2016, California-based company Lucid Motors announced that Casa Grande, Arizona would be home to their newest assembly plant. Looking to compete with Tesla in the electric-vehicle category, this startup company will begin building their new assembly plant in second quarter of 2017, with hopes of producing electric luxury sedans by end of 2018. Arizona helped secure the deal by promising $46 million in subsidies tied to milestones the company must reach as it moves toward vehicle production. As the company begins building and production, they’ve promised to provide 2,000 jobs over the next five years, with hiring starting as early as next year. This $700 million factory is also committed to training and hiring Arizona’s veterans, and while some of the car parts will be assembled in Sonora, Mexico, they are committed to keeping it a U.S.-based and run company. For car enthusiasts, the Lucid Motors electric cars are something to get excited about. Having unveiled the new prototype on December 18th, these Tesla-competitors are expected to cost $100,000, include batteries capable of powering the vehicle for at least 400 miles before charging, and an interior similar to the BMW 7-series. Beyond that, not much is known about the vehicle. When unveiled last Wednesday, the prototypes were notably covered in a camouflage exterior to keep the full design and shape of the vehicles shielded from competitors. The company intends to limit production to 10,000 units in 2018, with plans of increasing by 60,000 units each year after that. Will these cars actually become a competitor of Tesla, though? The company recently tested its electric powertrain using a modified Mercedes-Benz van, and released a video showing that it could hit 0-60 mph in 2.6 seconds, faster than a “Ludicrous”-equipped Tesla Model S. So you can be the judge of that. For the city of Casa Grande and its 50,000 residents, as well as for Arizonians as a whole, this plant may seem too good to be true. What happens if Lucid Motors chooses to pull out? While this is far from likely, the Arizona Commerce Authority (ACA) stressed that should the deal not move forward, the state will not have lost any money. 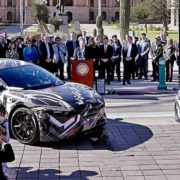 With that risk eliminated, and the ACA expressing that they are “comfortable Lucid Motors currently has sufficient funding for the initial phase of the project,” this plant is something we can all get excited about, both in Casa Grande and statewide. Casa Grande Mayor Bob Jackson summarized it best when he said, “For the past five years, Casa Grande has worked diligently to attract companies that could serve as economic drivers for our entire region.” It looks like he’s doing just that! We will all look forward to seeing how the plant progresses and helps add jobs to our great state! During the holiday season, we often find ourselves saying “It’s just a busy time of year.” Between holiday parties and helping kids finish up last-minute school assignments, this is most definitely true. However, if we’re being honest, we’re nearly as busy every other time of the year, too. When our schedules become jam-packed with activities and obligations, we tend to neglect the one thing we need the most—sleep. While some may believe that needing a little extra caffeine to get through the day is the worst that can happen, a new study reveals that is not the case. According to AAA, missing just a few hours of sleep significantly increases your chances of a fatal car accident. In fact, exhaustion is a factor in one in five fatal crashes in the United States. With drunk driving playing a role in one in three crashes, driving while tired isn’t that far behind. The study also found that missing just three hours of sleep quadruples your risk of a crash. And with 35 percent of adults getting less than the recommended seven hours of sleep a night, this is a significant issue. The Center for Disease Control found that one in 25 drivers (ages 18 and older) admit to having fallen asleep at the wheel at least once in the last 30 days alone. This has become such a concern that the CDC now has a Drowsy Driving Prevention Week in November to raise awareness for the 21% of fatal crashes drowsy drivers are involved in each year. Dr. David Yang, the executive director for the AAA Foundation for Traffic Safety, explained that a driver who has slept less than five hours has a crash risk comparable to someone driving drunk. While a breathalyzer can determine whether someone has had too much to drink to drive, there is no official test to determine if someone has had enough sleep to drive. While young men, individuals with children, and those working night shifts are most at risk for drowsy driving, it is something that all of us have fallen victim to. So, what can we do? 1. Know the signs of drowsy driving. You drift into the other lane or onto the shoulder of the road. 2. Find a different way home. If you experience any of the symptoms listed above, pull off to the side of the road and arrange another ride. Whether you call an Uber or Lyft, or ask a friend to come pick you up, it’s better to leave your car than to continue the drive home. If none of those options work for you, find a safe place to park your car and sleep for an hour or two. While this may be inconvenient, some drowsy driving cases land the driver in jail, so it’s better to be safe than sorry. 3. Educate yourself and others. 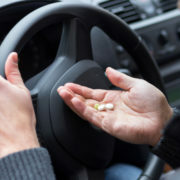 While drunk driving and texting while driving are getting a significant amount of attention in the media, drowsy driving isn’t talked about as much as it needs to be. Educate yourself and those around you about the dangers of driving while tired, and if possible, offer yourself as someone they can contact should they feel tired behind the wheel. While accidents may not be totally avoidable, knowing risk factors can help decrease the number of accidents each year, and keep us all safer on the road. For many, this truly is the most wonderful time of the year. With the weather finally cooling off in Arizona, we’re able to unpack our sweaters, turn on the fireplace, and make a cup of hot cocoa. Christmas at the Princess (Scottsdale): At this point, most of us have gone to ZooLights either at the Phoenix Zoo or Reid Park Zoo in Tucson. But did you know that the Fairmont Scottsdale Princess Resort has one of the best light displays in Arizona? With 2.8 million LED lights, a skating rink, and magical snowfalls, you won’t want to miss this one! Fourth Avenue Winter Street Fair (Tucson): This Winter Street Fair is home to more than 400 arts and crafts booths, food and drink vendors, musicians, and so much more! With over 60,000 fair goers each year, this is a great community event! Luminaria Nights (Phoenix and Tucson): The Desert Botanical Gardens in Phoenix and the Tucson Botanical Gardens both host Luminaria Nights during the month of December. With live music and over 7,000 luminaries, this event is especially great for those who love the gorgeous landscape of Arizona. Holiday Nights at Tohono Chul (Tucson): On Friday and Saturday nights at Tohono Chul Park, individuals can enjoy live music, tasty hot chocolate and baked goods, and over one million lights. You can also peruse the Museum gift shop to find the perfect holiday gifts for your loved ones. CitySkate Ice Rink (Downtown Phoenix): Love to ice skate but can’t find a place outdoors to do it? Look no further! Downtown Phoenix is home to the CitySkate Ice Rink. Smack dab in the middle of downtown, you’ll be surrounded by great restaurants, lights, and music. The Polar Express (Grand Canyon): Board a magical train and sip hot chocolate, munch on chocolate chip cookies, and listen to the story of the Polar Express as you head to meet Santa and his reindeer. Perfect for children, and children at heart, this is a great way to build excitement for Christmas morning. Hometown Christmas Parade (Glendale): On Saturday, December 10th, block out your calendar for the Glendale Hometown Christmas Parade. With American Idol winner and Arizona native Jordin Sparks serving as the Grand Marshall, you’ll be wowed by the colorful floats and live music! The Nutcracker (Phoenix and Tucson): Are you a fan of the ballet? Or simply consumed with the magic of the holidays present in the Nutcracker? Join Clara and her Nutcracker Prince as they embark on a thrilling adventure of dancing toys, mischievous mice, and sparkling snowflakes. Fantasy of Lights Boat Parade (Tempe): Do you love food trucks, face painting, and selfies with Santa? Then this parade is for you! See 50 festively-lighted boats of all sizes, and a firework finale when you attend this free event in Tempe! Glendale Glitters (Glendale): Illuminating 16 blocks of Historic Downtown Glendale, 1.5 million LEDs can be enjoyed for free by any and all. Making it the largest free holiday display in Arizona, Glendale Glitters has everything from holiday gifts to a petting zoo! Great for all ages. These are just a few events happening in Arizona this year! What are some of your family favorites? Be sure to comment below and add yours! From the GarageFly team to you, happy holidays! It’s no secret that speed limits are getting faster—much faster. According to the National Highway Traffic Safety Administration (NHTSA), speed limits are designed to reflect the maximum rate of speed that drivers can legally go under ideal conditions. However, when faced with traffic, construction, poor weather, or other adverse conditions, drivers should adjust their speed accordingly. Unfortunately, many drivers view the speed limit as the minimum speed, and go at least 5 MPH over the speed limit, regardless of road conditions. A new Insurance Institute for Highway Safety (IIHS) study found that increases in speed limit over two decades have cost 33,000 lives in the U.S. In 2013 alone, the speed limit increases resulted in 1,900 additional deaths, essentially canceling out the number of lives saved by frontal airbags that same year. In 1974, a National Maximum Speed Limit (NMSL) of 55 MPH was set to conserve fuel. However, in 1987, Congress allowed states to set speed limits at 65 MPH on interstate roads in areas with fewer than 50,000 people. 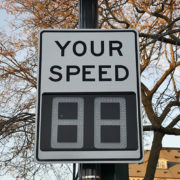 Finally, in 1995, Congress repealed the NMSL, allowing states to set their own speed limits. Since then, speed limits have been on the rise. While IIHS’s study believes that higher speed limits cause more accidents, others believe that higher speed limits simply cause more severe accidents. 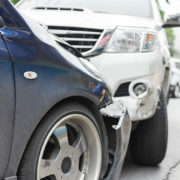 In fact, accidents that occur at high speeds are more often fatal. So while there is a direct connection between freeway deaths and freeway speed limits, some believe that raised speed limits do not inflate the total number of collisions. In that school of thought, most follow studies that show drivers rarely overshoot their speed comfort zones, even if they are legally permitted. They also believe that IIHS’s study fails to take into account that the number of miles driven has gone up as the economy continues to rebound, and gas prices are low. Additionally, according to census statistics, older drivers are staying on the road longer than they once were, putting more drivers on the road. While this all may be true, IIHS’s study cannot be ignored. With a higher maximum speed limit, individuals are going anywhere from 5-15 MPH over the limit. And the reckless driving doesn’t stop there. Self-professed speeders say they often drive 15 MPH over the limit on freeways, and also admit to passing other cars, keeping up with fast traffic, and are more likely to not wear their seat belt and to use a cell phone while driving. In June 2015, Wisconsin switched their speed limit to 70 MPH on interstate highways. In the 12 months following that change, fatalities rose 37% on the interstate, injuries increased by 11%, and the total number of accidents rose 12%, giving merit to the study done by IIHS. Six states in the U.S. have speed limits of 80 MPH, and in Texas, drivers can drive 85 MPH on highways. So what can be done? IIHS hopes that the outcome of their study brings to light the deadly consequences of higher speeds, and hopes states will keep this in mind when considering a speed limit increase. For all of us, this can serve as a reminder to follow the speed limit set in place, and avoid reckless driving habits in the hopes of saving lives. 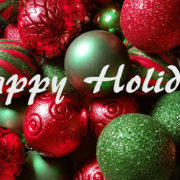 The holiday season, specifically between Thanksgiving and New Year’s Day, is all about spreading holiday cheer. 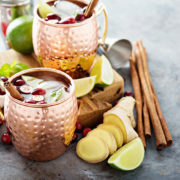 As the turkey is cooking, and close loved ones begin to arrive, the bottles of wine are opened, and the festive cocktails are served. Every holiday season, organizations such as Mothers Against Drunk Driving (MADD) stress the importance of driving sober. However, the Centers for Disease Control and Prevention estimate that nearly 1,000 people will be injured or killed due to drunk driving between Thanksgiving and New Year’s Day, a rate two to three times higher than the rest of the year. With Arizona’s ‘zero tolerance’ DUI laws, and the possibility of killing yourself or others on the road, follow these tips to stay safe this holiday season. 1. Be extra cautious the night before Thanksgiving. Blackout Wednesday, which occurs the Wednesday before Thanksgiving, is one of the biggest drinking days of the years. With businesses closed the next day, and college kids home for break, the bars are packed. In fact, accidents from Blackout Wednesday to Black Friday account for more than 400 traffic deaths each year. With the high volume of traffic on the road, it’s important to have a ride set up to come get you when the night ends before you have your first sip of alcohol. Whether you call a cab or appoint a designated driver in the group, this crucial step will certainly save lives. 2. Download the Uber and Lyft mobile apps. With companies such as Uber and Lyft, there is no excuse for drunk driving. While there may be ‘surge pricing’ during the holiday season, the cost of taking an Uber or Lyft ride is significantly cheaper than a traditional cab, and definitely cheaper than a DUI ticket. Both user-friendly apps allow you to plug in your credit card information, and request a ride from your current location. You’ll know the price of your ride before you even get in the car. Even if you’re sober on the road, you can’t guarantee everyone else is. Take extra precautions at stop lights, waiting a few seconds after the light turns green to enter the intersection. If you notice someone driving erratically, call 911 to report the driver. Finally, make sure you’re aware of the individuals you’re at your holiday gathering with. If you notice your cousin or aunt grabbing his/her keys after a few drinks, make sure you step in for everyone’s safety. The holidays should be a time of community, celebration, and laughter. Don’t let an unavoidable accident ruin a treasured time. Stay safe and look out for those around you to make your holiday season as merry and bright as possible!